I’m from a small town; a village in fact. Having been raised here, gone to school here, and after many years away, returning here, it remains an undeniable fact that if someone from here achieves anything of any note, it is usually celebrated and everyone knows about it. This is neither a bad thing nor a good thing. It just is what it is. I am happy to embrace it. And so, while everyone where I’m from knows I have written and published my first novel, I am constantly asked how the writing is going, how are the sales, when is the next book? Or (and this is something I relish) stopping me to tell me how much they enjoyed Fastian. I don’t think I’ll ever get tired of being told that someone enjoyed a piece of work I put so much effort into. I love it. Still, at least I’m alive, huh? Jason Finnerty is a past pupil of Clonaslee Vocational school; he is now an author writing under the pseudonym, Jay Finn. He sells his books online and has now started a fantasy series. 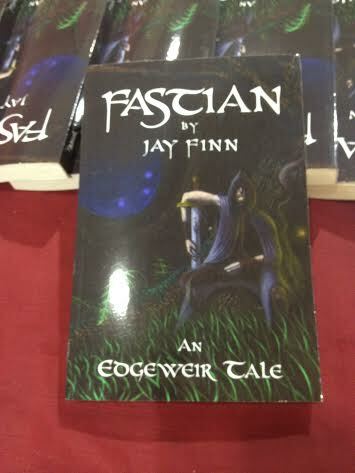 He launched the first book of the series “Fastian: An Edgewier Tale” just before Christmas in the Heritage Centre in Clonaslee. How did you start writing stories? I first started (or attempted to start) when I was maybe 12 or 13 because I had read the Narnia books and just fell in love with them. It just clicked in my head that maybe I would like to write something like that but when I started writing properly it was about six or seven years ago. I started writing short stories and one of them got short-listed for an award and when it did I was thinking “Well maybe this is something I could do” so I just kept going from there! What inspired your book Fastian? I actually got the idea from the movie The Dark Knight, seeing the character of the joker I just had this idea of a character who was not exactly likeable but could still be kind of the good guy, someone who’s not a nice person but is like kind of the anti-hero. So it just started from there but over the years it developed into the book that it is now. There’s no set way about it, it just organically came together. Did you know at first that it would be a trilogy? Yeah, I knew it was going to be long, it might even be more than 3. I had this idea in my head that once I created this world, I could write the story and make it as long as I wanted and that was actually exciting because I wasn’t set to “it has to be in one book” because that’s just too narrow, especially with fantasy. Fantasy tends to be epic, for example George Martin, they’re all in lots of books, so I always knew it was going to be long. It could be four or five books now. Do you think that literature has been diminished by television and internet? I’m not sure, maybe in a way. The idea of holding a book in your hand for a lot of people isn’t the same because now you’ve got kindles and things like that, so maybe not literature itself but how we purchase literature and how perceive it is maybe a bit different. And it’s at a stage now where almost every second movie is based on a book so a lot of people tend to watch the movie before they read the book and that annoys me… A lot! People are like “Oh yeah I’ve watched this movie, now I’ll read the book”. No, read the book first! When you watch a movie you have the characters in your head already, so when you’re reading the book it’s not your own imagination that’s creating them in your head – it’s what you’ve seen in the film, and that just annoys me. Would you like your books to be made into films? What advice would you give to student hoping to become a writer? Read a lot and write a lot, it’s that simple! You can’t become a writer unless you read, the same way you can’t be a carpenter if you haven’t got a saw. Read everything, don’t just read one genre, read as much as you can and read constantly. I could read fifty, sixty or seventy books in a year. It’s like practise, when you see other people’s styles and see how other people write stories, you will understand plot and characters, themes. You can not become a writer unless you read and once you read you have to write a lot. You don’t have to sit down and say “Ok, I’m going to write a book” and just concentrate on that. Write short stories. Take a month and tell yourself everyday you’re going to write a 2000 word short story. 29 of them could be terrible but you can have one gem. Don’t think about it too much, especially when you are writing short stories. Just give yourself a premise “A man walks into the store and trips over the step” and just work from there! Just something small like that or you could make it as outlandish as you want either. Just read a lot and write a lot! Were you a good student in school? I wasn’t bad as in badly behaved but I was lazy. I did all pass subjects for my leaving cert. I was doing honours English right up until two months before the exams. I didn’t want to go to college, I had no interest in education because I didn’t really like school. It’s not that I wasn’t smart, I just had no interest. I liked stuff like history though. So, I wasn’t bad, I was just lazy because I just had no real interest in being there and didn’t want to go to college (even though I did go to college later on). I started travelling once I finished school. So yeah, not a bad student, just lazy! When do you think the series will be finished? 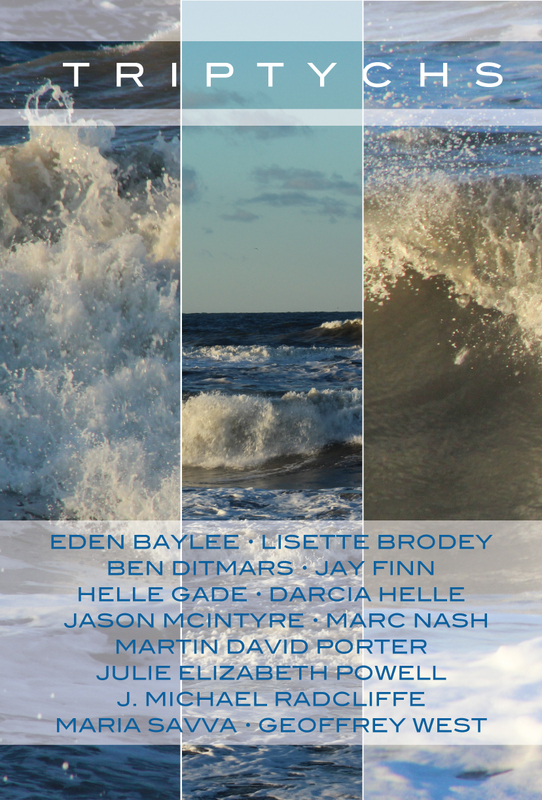 Well I hope to have the second book out by next Christmas. (Fingers crossed!) I’m working on another book at the minute, it’s just kind of a contemporary fiction which I’m going to try get published the “old-school” way, get it done through a normal publisher. The thing with fantasy is, it’s hard to get it published as it’s such a huge market so that’s why I did the whole self-publishing thing, plus I wanted to see a book with my name on it! So, over-all finished I don’t know. Hopefully in the next 4 or 5 years I’d like to have the entire tale told but we’ll see what happens! Where are your books available? You are not your house, your car or your job. You’re probably not even a servant of God. No my friend, you’re none of these things. Nor are you destined to fail. to be moulded, shaped and to be abused. Tax-payer, worker, ant and consumer. All of these things you are called by your user. so learn how to choose, you learn to be free. You are thought, you are action, you’re creation unknown. You are free to live loudly or even alone. The world is your oyster if you cast off the lead. The thoughts in your head are the start of creation. Please use them wisely, they are power not sedation. They determine your outcome, your rise or your fall. Treat them like children, learn to love them all. And once you start thinking for yourself, not for others. The world will respond, it will be like you’re lovers. When you’re down, it’s down with you, it mirrors your gloom. So think carefully my friend and all you ask for will bloom. Can I say I’m a bestseller now? As an independent author, huge marketing budgets and campaigns are a thing we can only look on in envy at. These belong to the ‘published’ authors who have managed to snag a five book deal with a six figure signing on fee. (No bitterness … well maybe just a little). Yes, kindle and e-readers of all kinds have been nothing short of a Reading Revolution. Yes, I heard what I just said. A REVOLUTION! Hundreds of books on one little digital tablet! Surely this is one of the greatest inventions for all you book lovers out there. Except, in a lot of cases, it’s not. The feel of a book in your hands (especially those 700+ page epics); the smell of the new pages; the perfect smoothness and matte finish of a straight-off-the-shelf book. I don’t think there is anything better. And so, in saying that, I am coming close to having all of my hard copies of ‘Fastian’ gone. I have roughly twenty of them left and they need a good home! I will post them to anyone wishing to purchase one. And why wouldn’t you want one? Only 250 were printed and if (when) one day, global success comes my way, you will be in the possession of something very rare indeed. My email is coshure96@gmail.com or you can tweet me @jayfinn32 for any details or questions. Go on, what’s the worst that could happen? It’s been a while since I’ve dragged myself to the blog, but I’ve been neglecting it more than I should. I suppose I’ve been relaxing slightly after all the hard work I have put into Fastian over the past year or so.